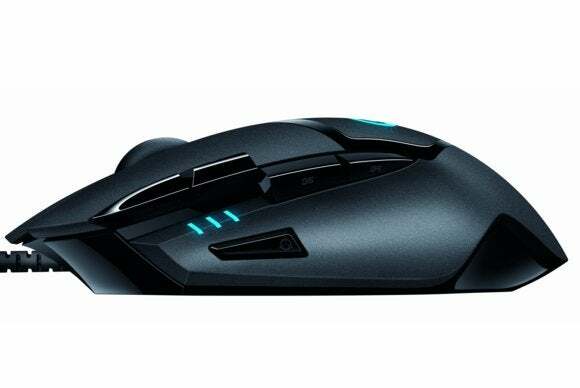 On Wednesday, Logitech unveiled the new G402 Hyperion Fury mouse, which it's calling "the world's fastest gaming mouse." The device uses multiple sensors, allowing it to accurately track ultra-fast swipes of up to 500 inches per second across your mousepad or desk, and is marketed towards first-person shooter (FPS) fanatics. Many FPS players use a low mouse CPI (counts-per-inch, or how many pixels the pointer moves for each inch of desk space) because it improves accuracy. The trade-off is that you need to move the mouse across broad swathes of desk space to turn the camera. In the midst of these big movements, especially at a high level of play, the mouse's laser/optical sensor can't keep up and accuracy suffers. For reference, Logitech's own G502 mouse is rated at 300 inches per second maximum. The G402 attains its hyper-sensitivity by tracking multiple sensors at once—it features your standard optical sensor, but also an accelerometer and a gyroscope. These three components make up what Logitech has branded the "Fusion Engine." The Fusion Engine is powered by a 32-bit ARM processor inside the mouse itself. You've also got eight programmable buttons (with settings saved to onboard memory), a 1000Hz (one millisecond) polling rate, and on-the-fly DPI switching. I don't know yet whether the G402 will feature any weight adjustments like other Logitech models. We'll see whether the mouse is adopted by those in the FPS e-sports crowd where speed and accuracy are important. Me? Well, I'm no professional FPS player, and I tend to keep my CPI pretty high. I also don't know what my average mouse movement speed is, but since my name isn't Bruce Lee I'm going to guess it's nowhere near 500 inches per second. Still, I'm looking forward to testing out the G402—I've been playing with Logitech's G502 mouse for a few months and it's become one of my all-time favorites. 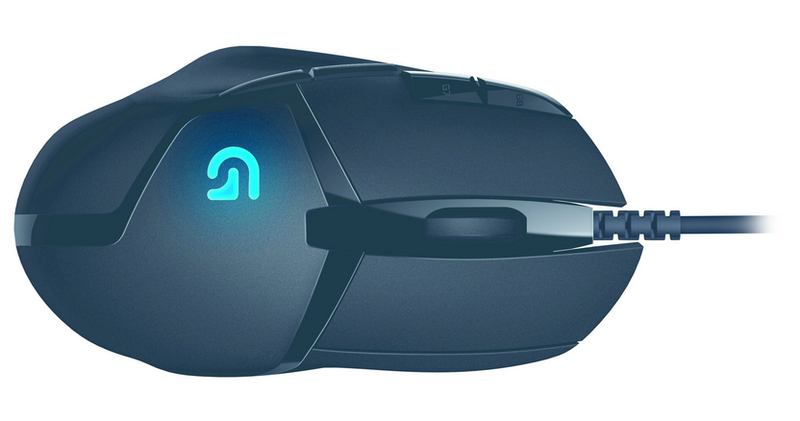 The G402 goes on sale in August at a list price of $60. For more information you can visit the G402 product page.